At the risk of sounding like a broken record, if you are promoting on social media then you should be collecting email addresses by promoting an optin page (rather than sending people directly to your website homepage to get lost in blog posts, about pages, contact forms, fancy branding and service pages). But though that’s a lesson I repeat, it’s not the end of the story. In fact, for a lot of small businesses that’s where the headache begins. With big ambitions and dreams, you take the advice and create an optin page. 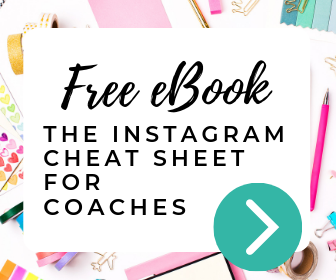 You stick that link all over your social media profiles: Instagram, Pinterest, Twitter, Facebook…..and voila, thousands of leads starting signing up to buy from you. Except that last bit doesn’t always happen. If you don’t have any experience in building optin pages (and that’s ok; most business owners don’t), your story might go something like this instead. You stick your optin page everywhere, promote it on social media, you might even pay for ads, and watch as you get just a handful of leads sign up, when you were expecting hundreds or thousands. So what went wrong with your list building efforts? The answer lies in the optin page itself. It’s not converting. And that’s the subject of this post. 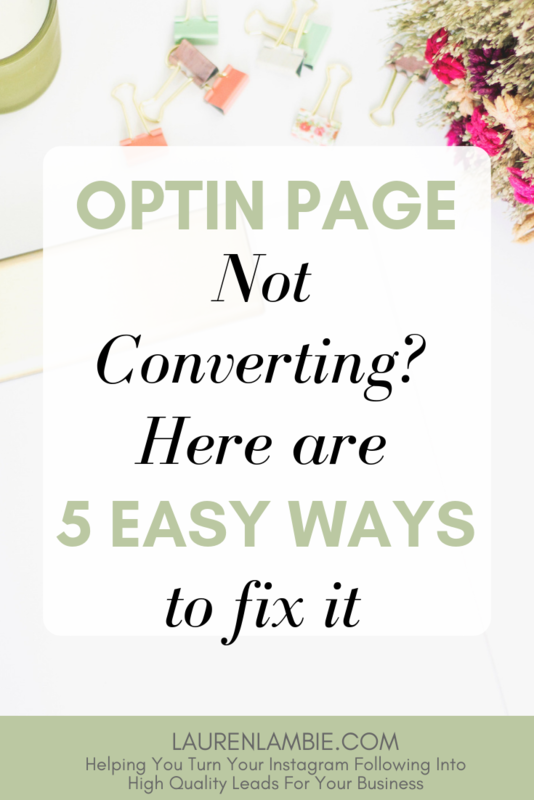 My big goal for you by the time you’ve finished reading this post is to be armed with all the information you need to fix your optin page and get a fantastic conversion rate (and plenty of email sign ups too). Let’s start with a look at some numbers. You might be thinking: how do I even know if my optin page is converting well? How do I know if my conversion rate is good or bad? So here are a few figures for you to put it into perspective. If you are converting under 10%, that’s bad. 10%-20% isn’t great and you should be doing better. 20% is the minimum you should be aiming for. All your optin pages should convert by at least 20%. 20-30% is good. That’s the figure most marketers should achieve with a good quality optin page. 30-40% is excellent. In fact, I’d suggest that although 20% should be your minimum, 33% is really what you should aim for: 1 out of every 3 visitors to your page convert. 40% of more is obviously best, and here’s a fact for you. It isn’t that difficult. 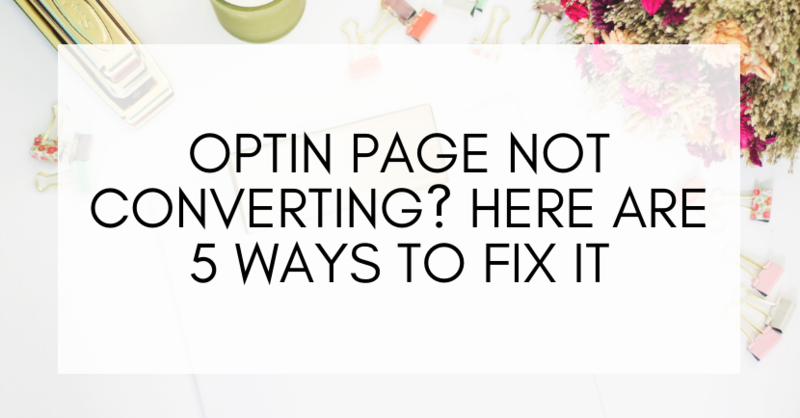 I have had plenty of optin pages that have converted at 50-65%. I’ve even heard of some marketers converting at as much as 80%. So have a look at your numbers as they currently stand. If they are less than 20%, you’re definitely going to learn a lot from this post. If they are between 20-33%, then you’re still going to learn a lot that will help you improve that figure. Traffic is expensive. Even social media traffic isn’t free – it costs time if not money – time you could be spending with paying customers. And advertising is incredibly expensive. Let’s say (for simple maths), that you’re running ads at $1 a click. Spend $1000 driving traffic to an optin page that’s only converting at 10% means you are spending $10 per lead. Get that conversion rate up to 33%, and now you’re getting leads at a more modest $3 (which is excellent by the way). 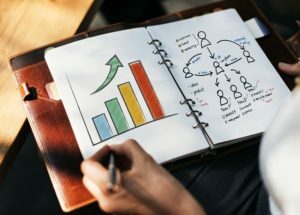 I would go so far as to argue that sort of improvement can transform a business overnight if you’re suddenly cutting your lead costs by two-thirds, irrespective of what business you are in. With that in mind, if you want to improve your conversion rate here are 5 easy steps you can try today. The obvious one. Perhaps your optin page just isn’t appealing to your target market. Have you really challenged yourself about what you are offering to your audience and whether it’s right for them? It’s not about whether it’s of really high value (which is often counter-productive by the way), but whether it’s of specific value, at that specific point in time, to your audience. Who are your target customers? What do they desire. If you were to introduce yourself, right now, to a target customer in person and had just 5 minutes to spend with them, how could you best help them in those 5 minutes? Conversion rates and compelling offers go hand in hand. You have to give some serious thought about who you are targeting, what makes them tick, and what sounds intriguing and valuable to them right now (note: I specifically said valuable to them, not valuable – a 2 page PDF is valuable to them if it contains the right info for your audience). Not a copywriter? Fear not. Admittedly a great copywriter will do wonders for your headline, but you can do this bit yourself with a little bit of research and some technical savvy. The problem most businesses have when it comes to headlines is simply not spending enough time writing it. When I say do some research, I really mean take a morning out of your working week and read up on good copywriting, experiment with different headlines, and fine tune your efforts. And as for being technical savvy, by that I simply mean you’ve got tot split test your headline to see which one works the best for your audience (Side note: whatever landing page platform you use – Clickfunnels, Leadpages etc – you absolutely need a platform that offers split testing capability if you want a high converting optin). By promises, I mean the other copy that appears on your optin page after your headline. What are you promising? Is it interesting? Is it compelling? Think about good headlines you see for blog posts – they always make you want to click through to read the full article, without giving away the whole thing. That’s what your promises have to be. They should entice your audience to want to know the answer. Promises are also about other things. For example, you might promise that the solution is easy. You might promise it’s a 5 minute fix. Or a 3 step action. Or you might promise that it’s a solution they haven’t heard from before. Free webinar: find out how to achieve the perfect wedding hair. What you have here is inconsistency in message between the ad and the optin page, and that will kill your conversions. In the ad, you mentioned glossy hair. You didn’t mention glossy in the optin. Nor did you mention shiny. And now you’ve also mentioned wedding, which you didn’t mention in the ad. So make sure your ad lines up well to your optin page. A helpful tip. This is also essential if you are running Facebook or Instagram ads by the way. They won’t approve ads that don’t align with the optin page, and even if they align partially and do get approved, you’re probably going to get a low relevance score (i.e. a low performing, expensive ad). I mentioned split testing earlier, but here’s a bit more detail if you aren’t familiar with it. Split testing is the feature that most good landing page platforms offer, and it’s absolutely essential to use this when creating a new optin page. In simple terms, split testing means creating two slightly different optin pages (for example, they might be identical apart from the headline) and testing them side by side. The software will throw 50% of the traffic at optin A, and 50% at optin B, and once you have enough data it will tell you the winner. You do this over and over until you start seeing an improvement in your conversion rates, each time refining your optin page slightly so you can see if those changes make a difference. So there we have it. 5 things you can test today to help improve your conversion rate on your optin page. Give them a try – I promise you, they work (but you’ve got to be persistent) and they are hugely valuable to your business – in terms of your ad spend and in terms of how fast your email list grows. If you have any success with this I’d love to hear from you – drop a comment in below and tell me about your optin pages and how you’ve improved them.